Le cimetière du Père-Lachaise is the resting place of a large number of French and world famous actors, politicians, artists, writers, musicians, including Balzac (one of the best loved French novelists and playwrights), Eugene Delacroix (world-renown French romantic painter, I'd say his most famous work would be La Liberté guidant le peuple), Georges Haussmann (the architect and town planner responsible for the 'modernisation' of Paris, making Paris the Paris we all know and love today), Yves Montard (the famous French actor, I especially loved him in the role of Papet in the film Jean de Florette), Jim Morrison (one of the main reasons why many visit this cemetery, to see the grave of this famous rock star and lead singer of The Doors), Nadar (one of the most talented French portrait photographers of the mid to late 19th century - many probably do not know him, but after writing an essay on French photography of the 19th century, I was eager to go and see his grave), Edith Piaf (just think La Vie en Rose), Camille Pissaro (a well-know Impressionist and Neo-Impressionist painter and advocate for the avant-garde pointillism method of representing colour), Marcel Proust (writer of the magnificent work A la recherche de temps perdu), and Oscar Wilde (author and playwright, know for the following famous works The Picture of Dorian Gray, The Importance of Being Earnest, Lady Windermere's Fan, etc). Located in the 20th arrondissement, on one of the seven mounds/hills of Paris known as Champ-l'Eveque, which overlooks Paris towards the south-west (there are spectacular views of the roof-tops of Paris from the cemetery). It is located near three metro stations. Depending on where you would like to enter the cemetery - it's very large covering almost 120 acres - select your metro line and station accordingly - you can take line 2 and exit at Philippe Auguste or line 3 and exit at Pere Lachaise or at Gambetta. There is no entry fee to enter the cemetery, however if you would like a map, which is very helpful as it highlights the grave sites of about 100 famous people, you'll have to pay a few euros (even with a map it can be difficult to find certain graves as many graves almost topple over each other and although part of the cemetery is laid out in a grid formation, the remainder is a collection of interwoven paths and lanes). 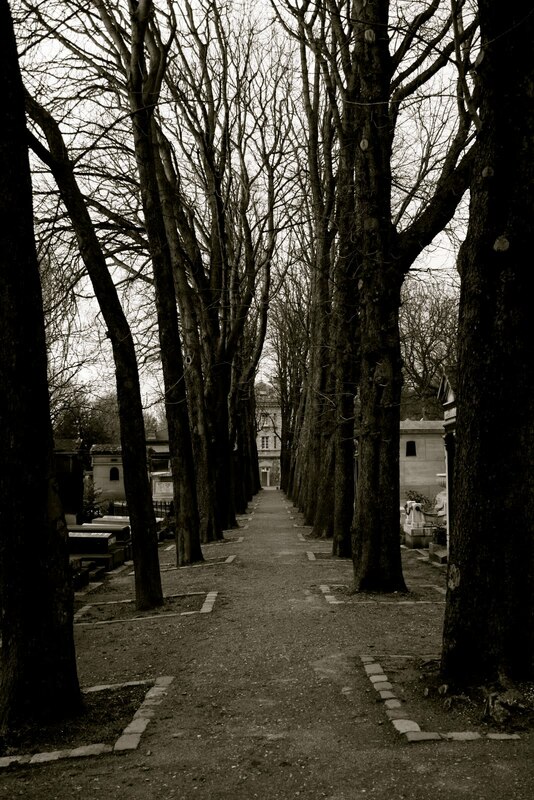 The cemetery is named after Pere Francois de la Chaise, who was the confessor of King Louis XIV and who lived in the Jesuit house on the site of the cemetery chapel. The cemetery, and another two in what was then greater Paris, but now central Paris, were established by Napoleon in order to relieve the smaller cemeteries in the centre of the city. It was officially opened in 1804. 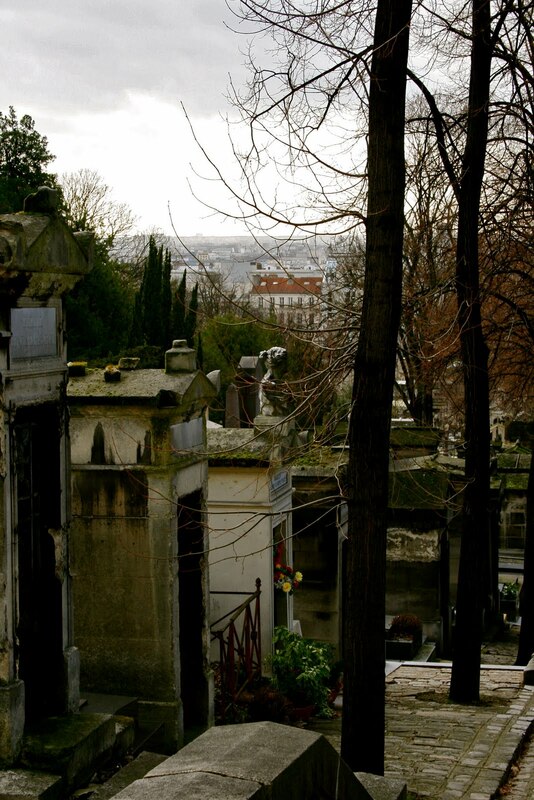 Originally people considered the cemetery to be too far from the centre of Paris and thus inconvenient for funerals. In response, the state organised a marketing plan and with great pomp and ceremony transferred the remains of Moliere and La Fontaine to the cemetery, which was followed by that of other famous personalities. 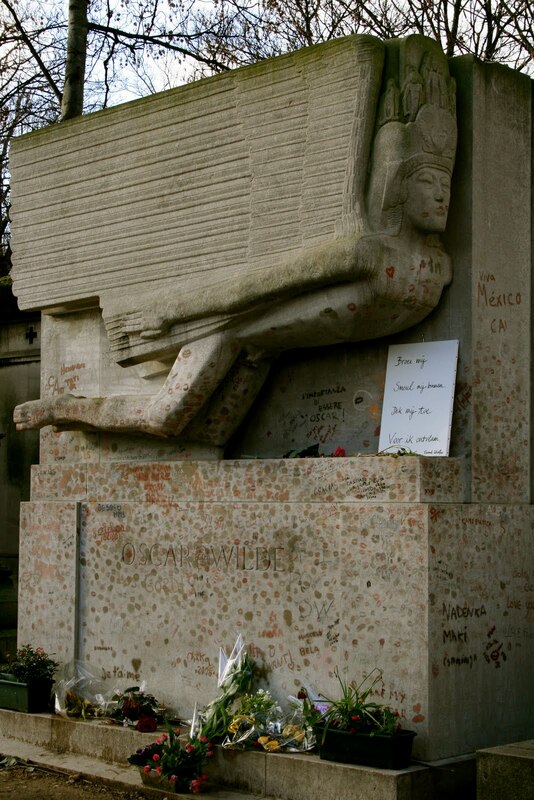 Since then, the people of Paris have wanted to be buried in the cemetery of Pere-Lachaise - if they were unable to be close to their idols in life, they were able to in death - and to date over 300,000 bodies have been interned on the grounds.